Power various electronics, including photo equipment, flashlights, gaming devices, and more, with this 4-pack of 1.2V MX AAA NiMH Batteries from Watson. The Japanese-made cells come pre-charged and ready for use with a capacity of 950mAh, making them ideal for use in high-drain devices. Thanks to their very low self-discharge rate, they are capable of retaining up to 85% of their capacity after 1 year in storage. The batteries can be recharged up to 500 times before their usable capacity starts to diminish. Additionally, they are durable enough to function in temperatures as low as -4°F. 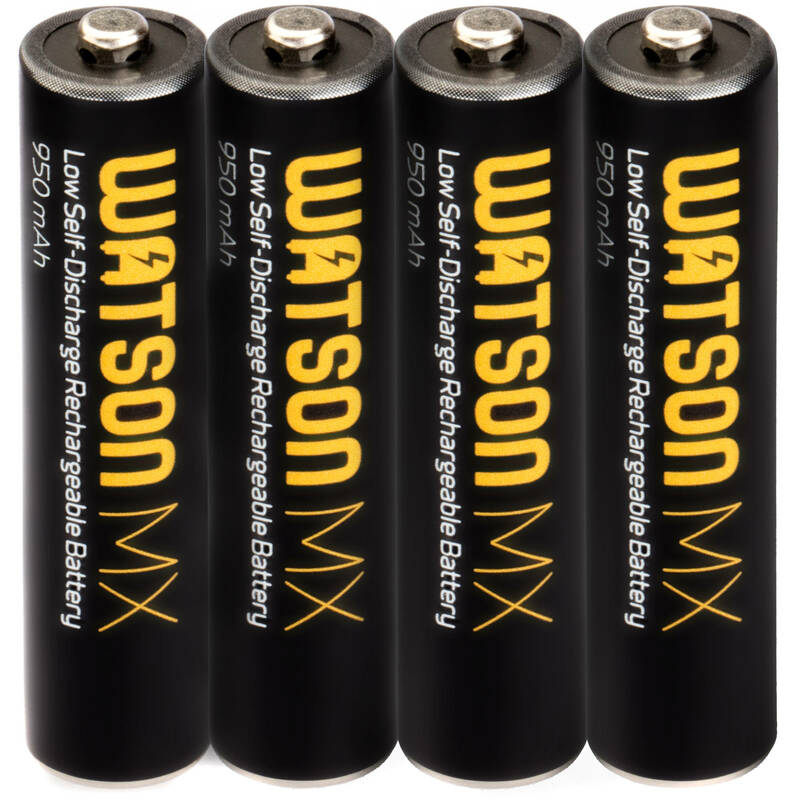 Box Dimensions (LxWxH) 2.677 x 2.047 x 0.236"
MX AAA NiMH Batteries (4-Pack, 1.2V, 950mAh) is rated 5.0 out of 5 by 2. Rated 5 out of 5 by Roberto from It exceeded my expectations The charge lasts a lot, but when used in flash, I'm surprised it does not discharge as fast as an alkaline battery. Rated 5 out of 5 by Brian from They Are Great Perfect rechargeable batteries to have in my kit.